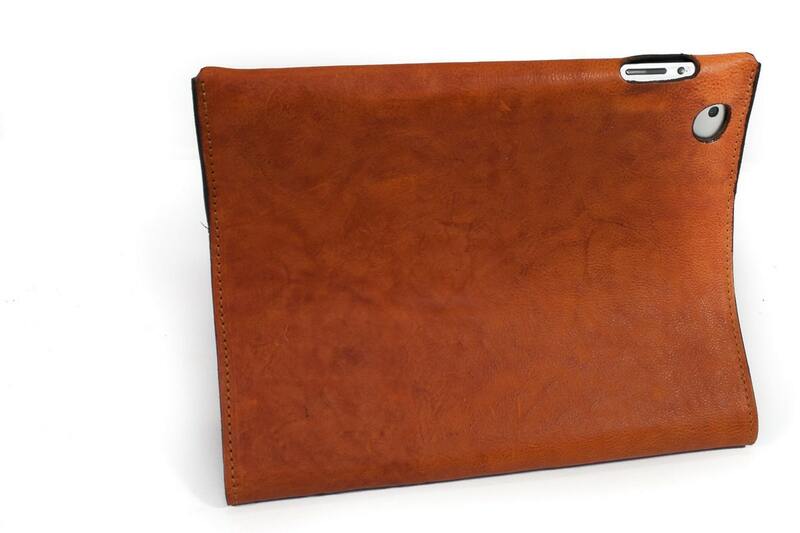 iPad leather case Made by Vegetable Italian Tanned Leather, the typical Tuscan "cow" greased. Double possibility to positioning horizontal and vertical. 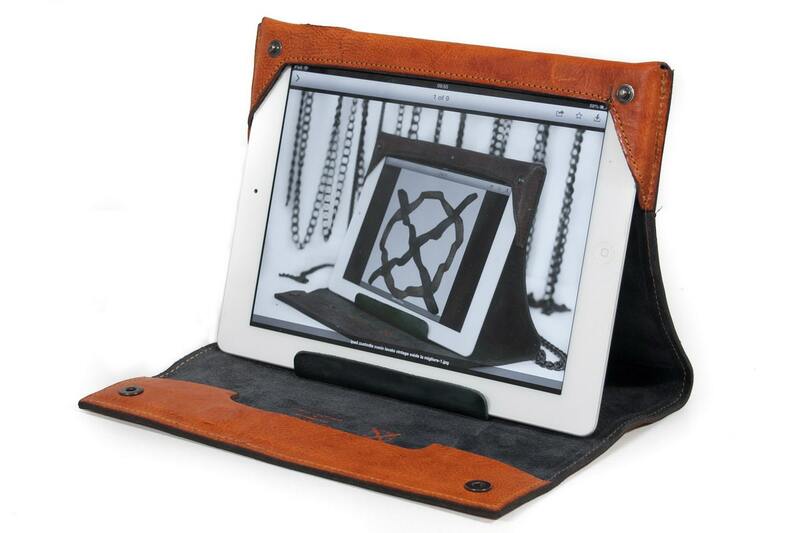 made by all genuine material NO PLASTIC all leather also the stand to retain in position the Ipad it is called "cuoietto" that is a particular strong leather with a "secret process" to mantain the shape curved. 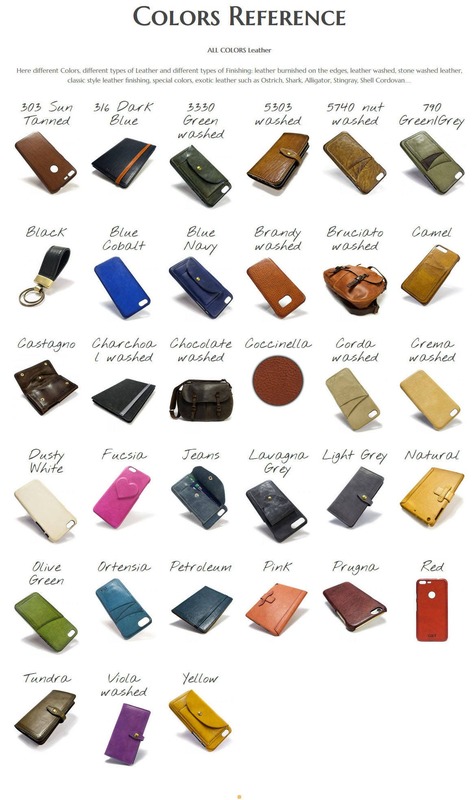 Aged processes give a vintage look made by highly skilled tuscan craftsmen obtained through ancient tecniques such us polish by wax, washed leather, polish process by stones. All of our items are handmade in the Maremma countryside in southern Tuscany. sustainable process in Italian Tannery, ISO 9001 Certified. "NOT ALL THE LEATHERs ARE EQUAL" this is not a racist theory, you only have to smell and you will understand what I mean. 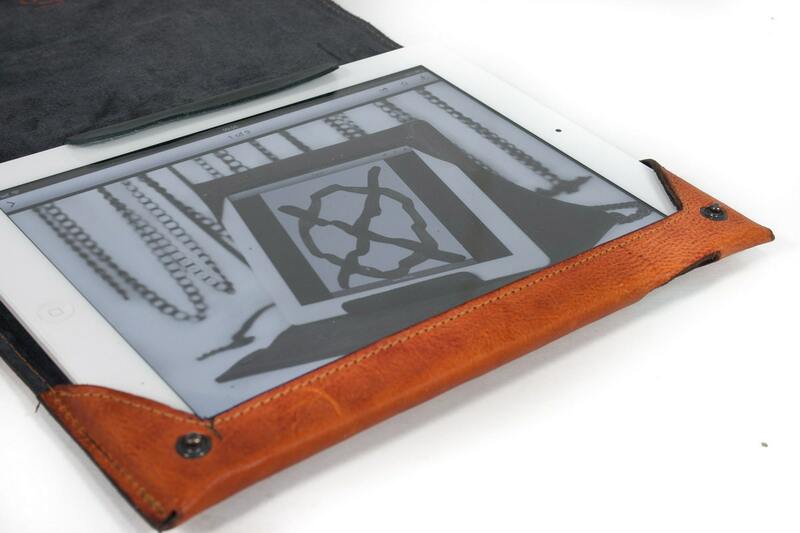 Beautiful iPad cover. Workmanship is high. Replaced the dog knawed one my husband had for many years. He likes it a lot and it stands upright easily. Only drawback for the older iPad is a magnet(?) 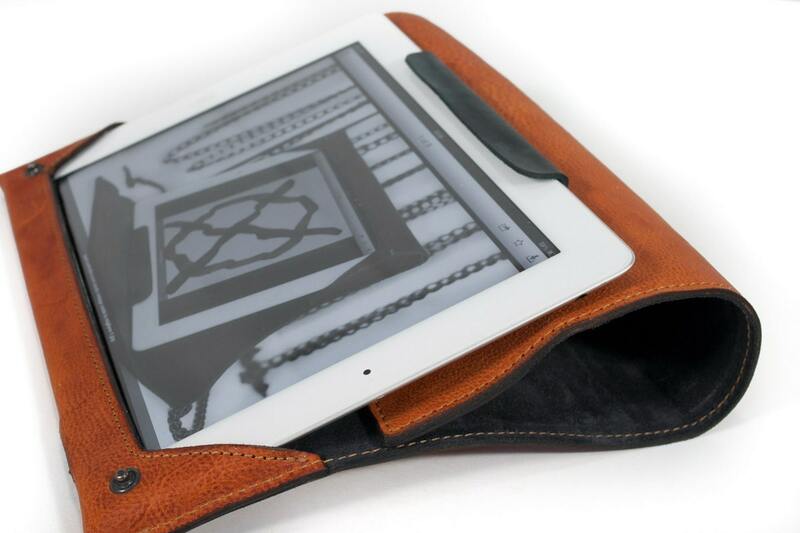 in the case that puts the iPad to sleep occasionally, if the front cover is folded over to the backside. Still worth it and very happy with the purchase. Shipped on a timeline that was agreed with the seller, who stayed in touch during the busy holiday season. We appreciated it. Thank you!